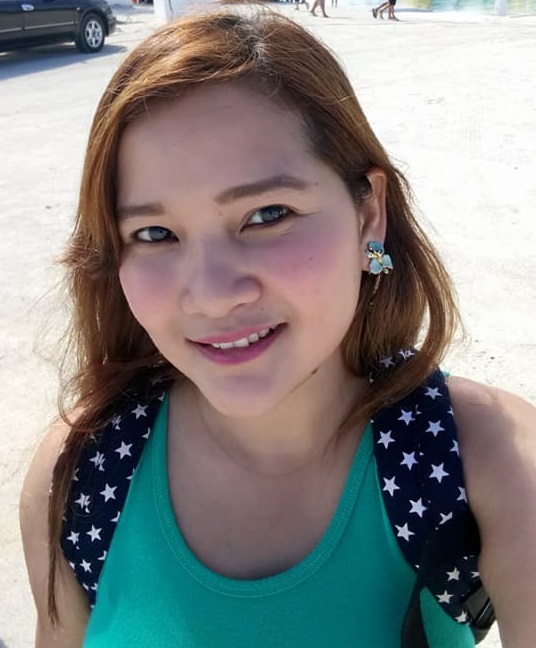 Hello, I’m Raissa – 34 years of age, born and raised in Cebu, Philippines. I have a brother who is 2 years older than me. My Dad and Mum separated while I was still inside her, so I never experienced having a Dad… yet I never felt incomplete. My Mother was a Super Mum indeed; she was able to raise us and send both of us to school. She was an office worker, sales agent, entrepreneur and much more – working day and night just to feed and provide us with a decent life. I was a member of the school dance troupe during my high school and college years. It helped me finance my studies. It also opened up a scholarship for me as my mother couldn’t afford to send both my brother and I to college… good thing God gifted me with this talent! I took a 2-year course in Associate in Computer Office Administration and after I graduated I took another 4-year course – Bachelor of Science in Hotel and Restaurant Management. My dream was to become an international flight attendant though. It had been my dream since childhood, but unfortunately I was not blessed with the required height in order for my dream to become a reality. So, I let that dream go and took a course, which is still related to customer service. This suited me well as I find it interesting to interact with and be exposed to different types of people. I landed my first job in 2005 as a Korean Concierge in one of the big casinos here in our hometown. Flight bookings, transportation arrangements, hotel bookings for our Korean guests were just some my work scope. I took the job even though I was still in my 3rd year of college. I worked from 11pm to 7am then I attended class at 9am. It was a bit challenging as I only got 4 hours of sleep each day… not to mention the assignments and projects that I needed to do in between. But I needed to work to support my growing school expenses that were not covered in the scholarship. I stuck it out, but needed to leave my first job after 18 months because I needed to do on the job trainings to complete my 4-year hotel and restaurant management course. Eight months after I graduated, I married my 5-year LDR (Long Distance Relationship) boyfriend. He was a Civil Engineer working overseas. I was just 23 then. In 2008 I became a Medical Sales Representative for 2 years. Then I chose to resign to fulfil my husband’s desire that I be with him in Vietnam and consider starting a family. I joined him there for six months as a housewife. After not falling pregnant, I returned to the Philippines to get a new job. In December of 2010 I was employed in one of the International Schools in Cebu as an Admissions Officer. I was part of the Registrar’s Office where I was responsible for processing new student applications, entrance exams, school IDs, touring clients throughout the school, helping the Registrar in encoding the grades in the system, preparing periodical exam materials and other admin tasks. I was very happy and contented with my work. In September 2011 I gave birth to my son. I can honestly say that those 9 months of pregnancy would have had to have been the loneliest time in my life. My husband was still away and therefore unable to give me the emotional support I needed. It was just a week before I gave birth he came home but had to leave again a month later. It was the start of the darkest times of my life as marital crises hit us. In 2014 I found it necessary to look for a job that offered higher compensation as I was not receiving enough financial support from my husband. That was when I secured my first BPO job. Luckily, I was hired as an offshore Customer Service Representative for the Telstra account, one of the biggest telco companies in Australia. Listening to customer’s complaints and providing end-to-end resolutions has been my daily routine for 3 years since I became a consultant in the complaints department. I was then given a support role in the QA department as an Interim Quality Assurance Specialist for complaints. This time my job was to listen to complaints and evaluate the agent in relation to call flow and if the SOP had been followed, provide feedback if violations had been observed by their agents, facilitate QA calibration and send weekly reports. There were a lot of changes happening in the company’s business structure, one of which was that some temporary roles had to go as the company couldn’t afford to fund those aspects of the business anymore. There was no other option than to return us to our previous positions in the company. So, after more than 4 years in the company I decided to resign and venture into working from home. I know in my heart that in this new endeavor I am more likely to succeed in terms of having more time for my son, financial stability, career growth and acquiring new sets of skills. In return, I can assure my future clients that I will do my best to always provide premium service and I will be someone that they can rely on. Hope you are able to have a glimpse of who I am in this short story. Cheers! For a copy of Raissa’s resume please click here.